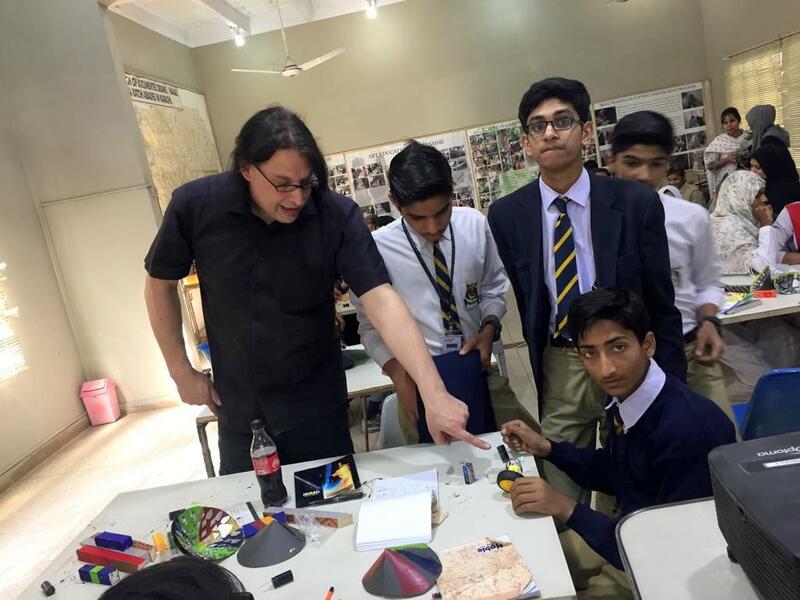 Two projects were organized by the KBT Outreach Committee with Wolfgang Spahn, media artist, and Stephen Kovats, architect, from Berlin who are the initiators of STEAM (science, tech, engineering, ART and maths) in Pakistan. 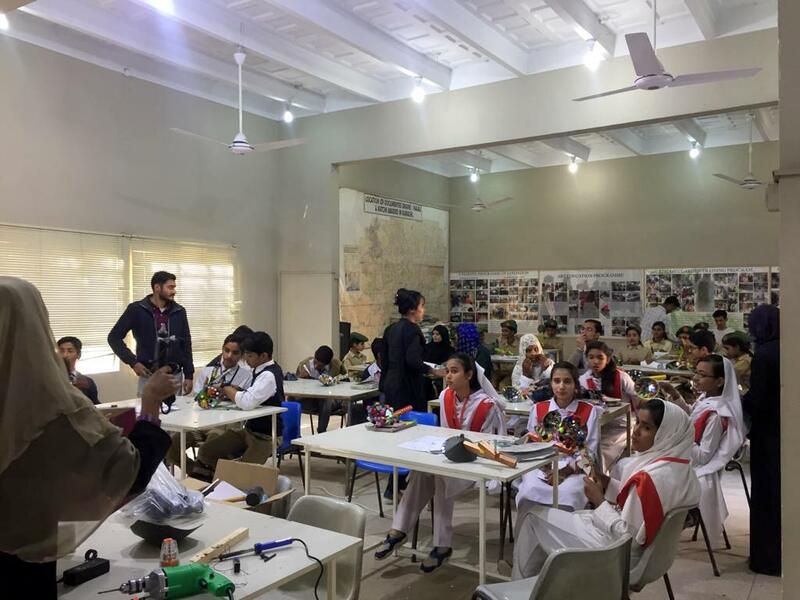 At Orangi , a two day workshop was conducted by Wolfgang Spahn in which 30 students and 5 teachers created a small hand -cranked Energy Harvester. 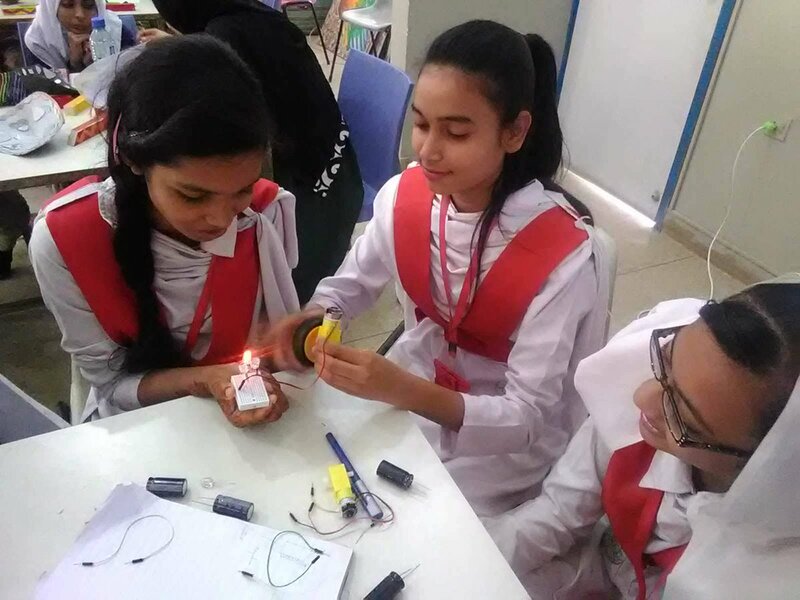 Focusing on the practical application of principles of Physics and electricity they assembled and each person decorated a fun, light emitting device that runs on energy made by manually working a motor. Development was also held at the Goethe Institut for educators and makers working with creative technologies in Karachi. Stephen Kovats introduced the Askotec Tool Kit in the workshop that contains all the components needed for STEAM Education and training to promote a repair and maker culture especially in a non -structured educational environment . The Tool Kit is attracting interest in Kenya, South Sudan and Uganda. 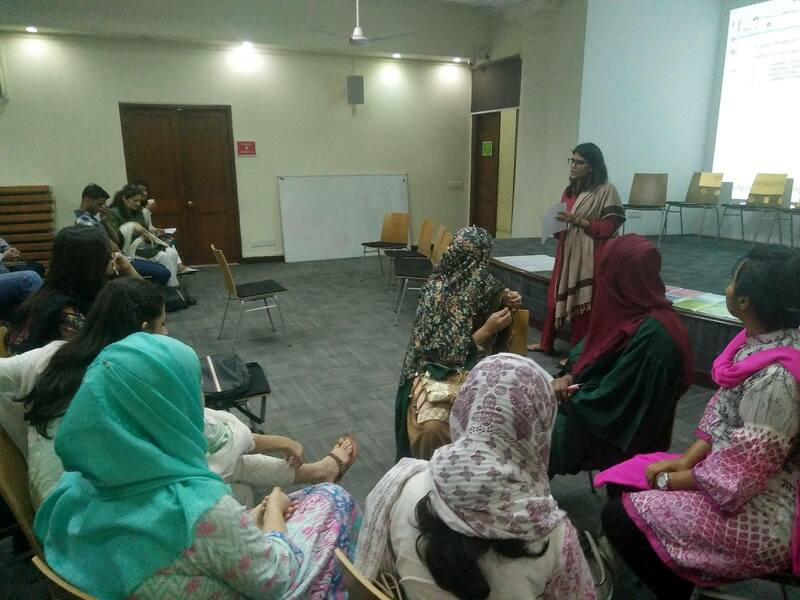 The local participants discussed the Askotec Tool Kit in the context of their work as educators, technology professionals and community workers and developed 4 possible scenarios for its application in Pakistan. 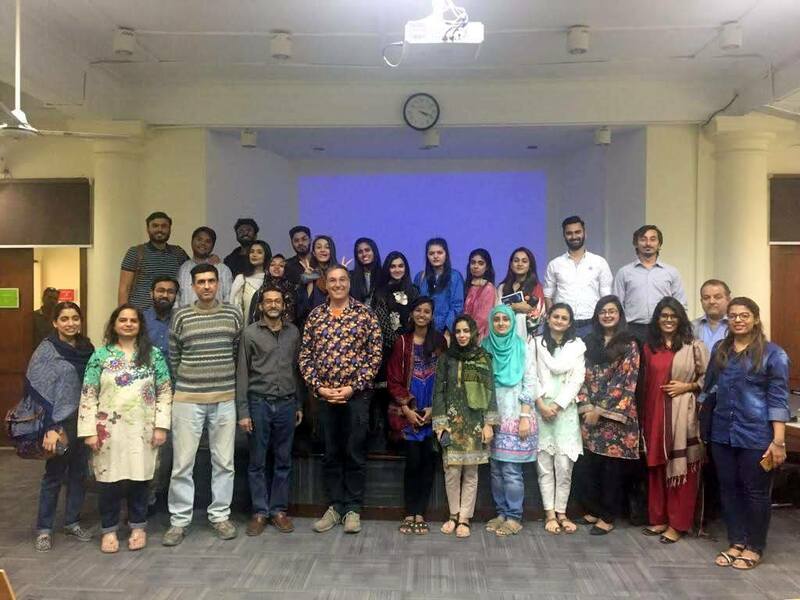 The Seminar is a first in a series of events that brings together many groups in Karachi that have similar interests in new teaching methodologies. This group includes Ejaadtech, The Lyceum School, NJV School, CBM, OPP, STEMERS and others. The STEAM projects are a part of the KBT initiative since 2016 led by Atteqa Malik, Chair of KBT Outreach Committee. These projects introduce Creative Open Source technology for Life hacks to learners in Karachi.